Blog Summer break is over. – Page 2 – Are You Experienced? Well now that things are getting back to normal, (whatever that means?) 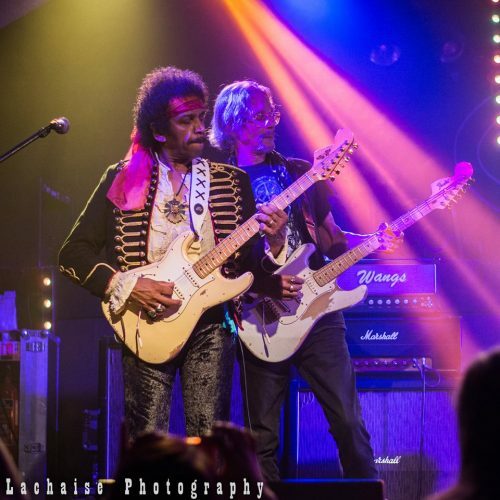 on behalf of Leon Hendrix and Are You Experienced? I would like to thank everyone that came along to the gigs for their support. 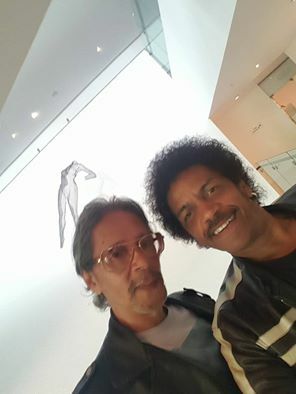 It certainly was an experience hanging out with Leon, who stayed with us at The Campbell residence, and listening to the stories about him and Jimi growing up. I would have to say that the highlight of the tour had to be playing The Scotch of St. James. London exactly 50 years to the day when Jimi Hendrix played the same venue just a matter of hours after stepping off the plane when he arrived in the UK. 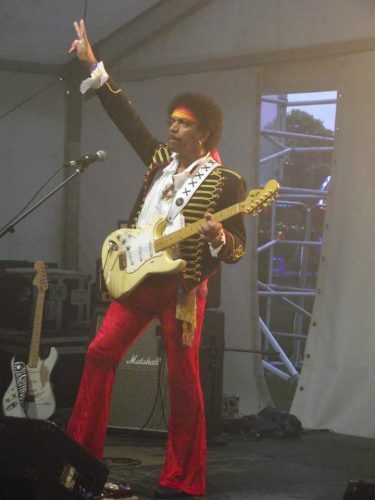 and having Jimi’s younger brother Leon Hendrix alongside you to mark the occasion was the icing on the cake. There are more plans in the pipeline regarding Are You Experienced? and Leon Hendrix and as soon as anything is finalised I will put the word out. 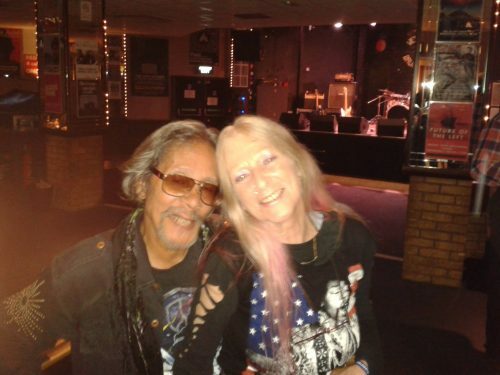 The Tour turned out to be a lot of hard work for me personally as the original tour was cancelled due to circumstances outside of my control, but once I managed to speak to Leon he expressed his wish to come over and play with Are You Experienced? and asked if I could salvage any dates? So! again thanks to the venues that stuck with it, as after cancelling a date it’s not particularly easy to state that the date is now not cancelled!! Second gig of the tour with Leon was at The Brudenell club , Leeds. Once again Leon had the crowd hanging on his every word as he told stories behind some of Jimi’s songs before we played them. This is a rare insight to what inspired Jimi to write certain songs. 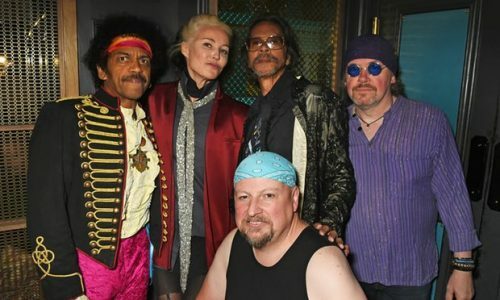 An enthusiastic audience had the chance to have their photos taken with Leon after the show and chat about what Jimi Hendrix meant to them. 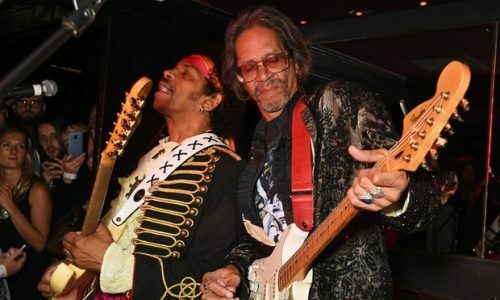 Only two dates into the tour but it’s already apparent that Jimi fans are hungry for any new insights into the guitar legends life, and who better to find out from than his closest living relative Leon Hendrix? Leon, John, Kev & Mark. So! last Wednesday morning at an ungodly early hour i’m waiting at the train station to head up to the Lowry Hotel in Manchester to meet up with Leon Hendrix, (Jimi Hendrix’s younger brother) for a business meeting of which, if successful will be explained in a few weeks. We played our first show of the tour in Swindon where the crowd showed their affection for Leon and kept him talking into the early hours of the morning once the gig was finished. The next date of the tour is on Friday 9th August at The Brudenell Social Club, Leeds, so we look forward to seeing some familiar faces there. John, Mark, Kev & Leon. The WV1 Festival at West Park Wolverhampton which the organisers have added to their other festivals in the Manchester area, was a well needed shot in the arm for local live music. Once again the weather was good and the crowds packed into the site making it a sell out. We met up with so many of our friends from up and down the country that it seemed like a re union, and the day seemed to fly past. The weekend provided music for all sorts of rock fans, both young and old, and it was great to see the little lads on their fathers shoulders playing their blow up guitars during our set. Playing on The Planet Stage unfortunately come with some restrictions, this meant no Foxy ladies on stage and no burning the guitar finale! Mmm! felt as if something was missing to be truthful, but rules are rules. What a fantastic day for a music festival set against a backdrop of the English countryside. 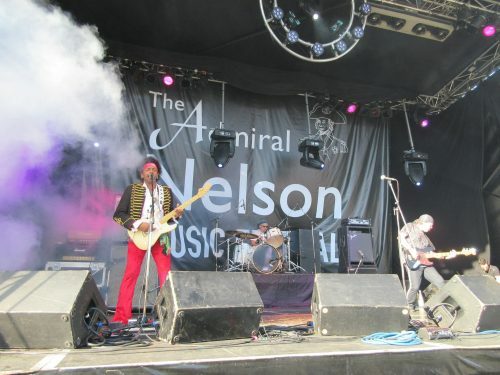 The Admiral Nelson Festival, Braunston was even bigger than last year, and it was a pleasure to asked back for a second time. The crowd were well up for a bit of Jimi and we really enjoyed ourselves. So a big thumbs up for everyone involved and especially the sound guys. Great work. Well the sun’s shining today and that’s always a good sign for festivals. We will shortly be on our way to play at The Admiral Nelson Festival. in Braustone for the second year running. A great festival for all of the family set in a lovely location. 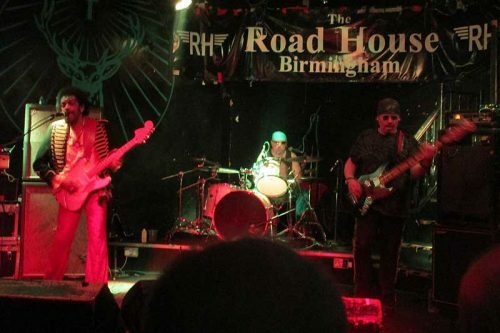 It will be good to shake the cobwebs off as we’ve not played for three weeks due to band holidays.